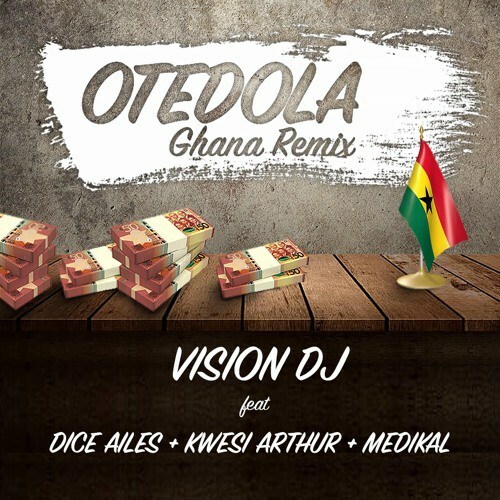 Finally the much anticipated collaboration from Vision DJ titled “Otedola” Ghana Remix has been released. He features Dice Ailes, Medikal and Award Winning Rapper, Kwesi Arthur on this club banger for your listening pleasure. Download and jam to this now! Enjoy.